1. Describe the sonographic appearance of the thyroid gland, parathyroid gland, and adjacent lymph nodes. 2. Recognize sonographic features of normal and abnormal thyroid tissue. 3. 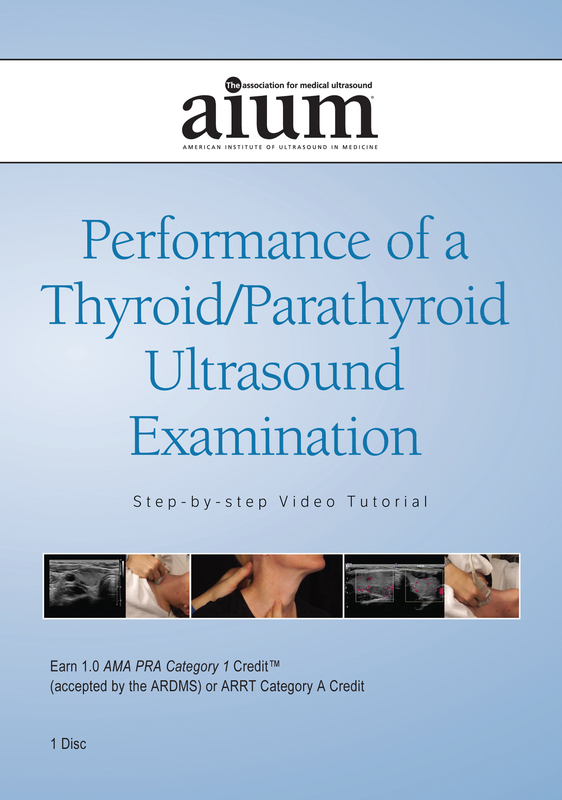 Demonstrate a complete ultrasound of the thyroid and the anterior neck. The learner attributes addressed are patient care, medical knowledge, and practice-based learning and improvement. Earn 1.0 CME credit. CME credit for this video program is available through December 1, 2018. Also available for purchase as streaming video. Preview an excerpt of this video here. The online CME test is free for AIUM members, $60 for nonmember physicians, and $30 for nonmember sonographers and nonphysicians.